GET YOUR TICKETS NOW! The San Francisco Transgender Film Festival (SFTFF) announces it’s largest-ever festival November 8-11 at CounterPulse. Get your tickets early: last year’s Festival broke the theater’s all-time audience record! 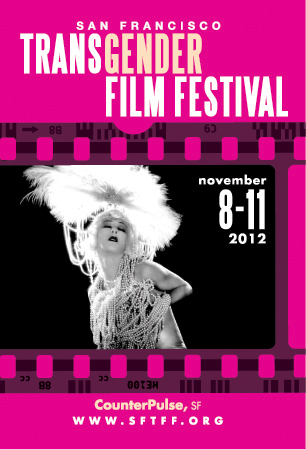 The 2012 San Francisco Transgender Film Festival is proudly co-presented by Fresh Meat Productions. Thursday November 8, the Festival opens with a BANG with a jam-packed Performance Event – for lineup and tickets, visit www.sftff.org. Saturday November 10 @ 8:00pm: PROGRAM II – Got Monsters? For full San Francisco Transgender Film Festival information and to buy tickets, visit www.sftff.org.